When a Belgian court ordered a bank to freeze $22.6 billion (16.2 billion pounds) of assets held in trust for a Kazakhstan sovereign wealth fund (SWF), it set a worrying precedent for other SWFs. 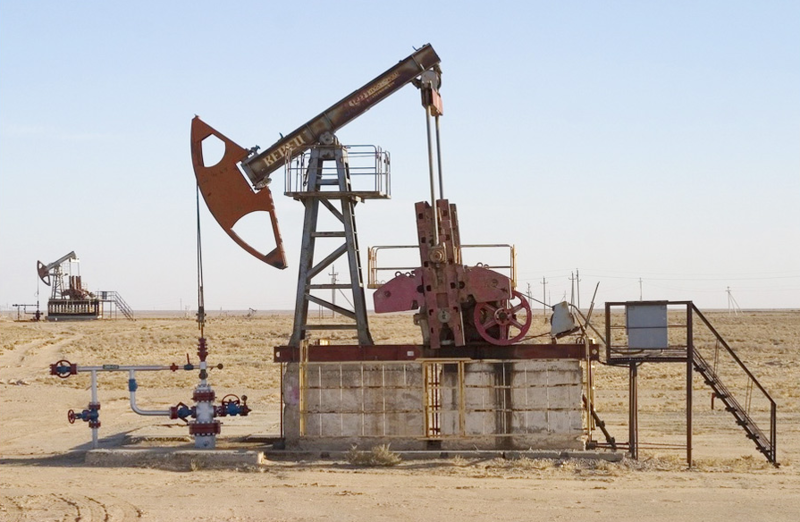 The case is one of several brought to courts in Europe by Moldovan businessman Anatolie Stati who is attempting to force the Kazakh government to pay up in a dispute about his energy investments in the oil-rich country. Court rulings imposing asset freezes in Belgium, the Netherlands, Sweden and Luxembourg are significant because they address the issue of whether SWFs should be treated as investment arms of governments, or as independent institutional investors. SWFs, which often invest the proceeds from the sale of national resources or manufactured goods, have traditionally enjoyed the legal immunity reserved for a sovereign to protect their assets in foreign jurisdictions. The rulings in the Kazakhstan case made waves because they ignore that immunity. The Kazakh government has said it will challenge the judgements. Whether Kazakhstan succeeds in getting the accounts unfrozen or not, those watching the case reckon it is a landmark for SWFs, whose $7 trillion in global investments range from real estate to equities and government bonds. In countries such as Norway, where disputes between investors and the government are more likely to be dealt with through efficient and independent domestic courts, SWFs have little cause to worry, analysts say. But the Kazakh case should be a concern for countries with a poor track record on investor protection, as it could encourage disgruntled investors to target SWFs’ offshore-held assets. Kirill Dmitriev, head of the Russian Direct Investment Fund, predicted repercussions from the Kazakh case. “SWFs represent a significant (share of) global capital and any attacks on SWFs may trigger significant market turbulence,” he said. Orders in Dutch and Belgian courts required Bank of New York Mellon to freeze monies it held in custody for the Kazakh National Fund and the Republic of Kazakhstan. The Dutch court order has since been lifted. The Belgian ruling is still in place but Kazakhstan will challenge it at a court hearing that has been adjourned until April 27. Kazakh assets in Luxembourg and Sweden are still frozen. SWF assets have been frozen before, but only in exceptional circumstances. For instance, the United Nations imposed a freeze on the Libyan Investment Authority’s overseas assets in 2011 as it feared personnel in the deposed government would spirit them away. The Kazakh asset freezes followed a 2013 decision by the Stockholm Chamber of Commerce to award Stati and his co-investors some $500 million in an arbitration. The body provides dispute resolution services to international businesses but it is not a court and is up to national courts to enforce its decisions. Kazakhstan is refusing to pay and President Nursultan Nazarbayev’s government said it has done nothing wrong. It has argued that this ruling was based on fraudulent information, according to a press release from the Kazakh Justice Ministry. Stati’s petition to a Belgian court to enforce the award resulted in an order requiring BNY Mellon to freeze $22.6 billion in Kazakh National Fund and Republic of Kazakhstan assets. The assets are held in custody by BNY Mellon’s European bank, Brussels-based The Bank of New York Mellon SA/NV. BNY Mellon declined to comment. Stati also obtained a separate order from a Dutch court to freeze an approximately $5.2 billion stake in KMG Kashagan B.V. owned by Samruk-Kazyna, another Kazakh SWF. KMG Kashagan is a special purpose vehicle through which the country holds a stake in the Kashagan energy project. There were further orders to freeze assets in Luxembourg and Sweden. Stati has also tried to get the award enforced in courts in London and Washington, according to press releases from the Kazakh Justice Ministry. Those decisions would apply to Kazakh assets held in England or the United States. Both attempts have run into difficulties. In a preliminary hearing in June 2017, the English High Court found that the initial arbitration award may have been obtained by fraud. Proceedings are ongoing, with a full trial scheduled to begin in October, the Kazakh Justice Ministry said. Kazakhstan has also filed a separate claim against Stati in Washington with regard to the alleged fraud. Industry participants are watching the court cases closely. SWFs have laboured for years to position themselves as little different from any other institutional investor, mostly to allay concerns countries might have about selling assets to foreign governments. Some SWFs have even renounced their sovereign immunity in investment contracts, according to Professor Fabio Bassan, an SWF law specialist and International Law Chair at Roma Tre University. But by depicting themselves as commercial investors rather than as agents of the state, SWFs have allowed their claim to sovereign immunity to be eroded, experts say. “The more they act like ordinary commercial investors and not as vehicles of the state, it creates a risk that courts will not view them as instruments of the state, and are less likely to give them immunity,” Ohio University’s Rose said. As in the Kazakh case, courts in different countries have different interpretations of the status of an SWF. Graham Harris, a partner at law firm Squire Patton Boggs, noted that English law still makes it difficult to seize sovereign wealth, but continental European courts are increasingly likely to view an SWF as a commercial entity. “It’s a moving target,” he said.